I didn’t think it was possible to hate another daikaiju movie almost as much as I despise “Godzilla: Final Wars,” but then along came “Gamera: The Brave,” a film so insufferable and insipid that it makes me weep at how bad mid-2000s monster movies were. 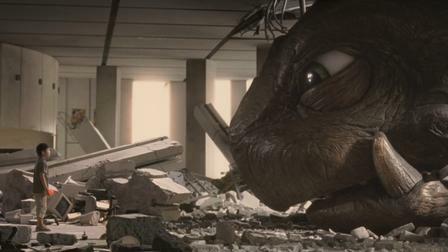 There is no joy to be found in this film, nor any love for Gamera’s past. It doesn’t even feel like a monster movie most of the time, just a slow and forgettable Japanese drama that relies way too much on terrible child actors. I’d rather watch the cheesiest and most obnoxious 1960s Gamera film ten times before I watch “Gamera: The Brave” again. At least those movies are fun in a “so bad, it’s good” way, especially when they think traffic safety is as big of a problem in the world as war and pollution. There’s a certain charm to those movies, especially with their light-hearted and carefree tone – they’re perfect for rainy day monster fun. “Gamera: The Brave” on the other hand, rams its message of children saving the world down our throats to the point that it is poisonous to this film, all while forgetting that the audience is here for Gamera. The film follows a young boy named Toru (Ryo Tomioka), who lives in a small Japanese village and is mourning the death of his mother. Toru eventually swims out to a nearby island and finds an odd egg, which hatches into a baby turtle that he takes in and names Toto. He falls in love with his pet turtle and shows him to all his friends, especially when Toto starts to fly and grow very fast. Toru learns from his friend that Toto might be a reincarnation of Gamera, Japan’s favorite fire-breathing flying turtle, after Gamera sacrificed himself to stop a flock of murder birds thirty years ago. Toru refuses to believe that his friend is Gamera, because that means he’s a monster and apparently monsters always have to sacrifice themselves? Either way, things get more complicated for Toru and Toto when a giant man-eating monster shows up to terrorize their town, forcing the growing turtle to step in. A big problem with “Gamera: The Brave” is that it is slow and takes far too much time and effort to set up these kids that we have no reason to care about. The film spends about 25 minutes setting up Toru’s life in his town with all the passion of a bad after-school special, all of this before introducing the monsters. Even after Toto shows up, it follows the same antics of a kid trying to hide is new pet from his parents, all while Toru shows as little emotion as possible. This goes on for more than half of the runtime before the idea of Gamera is even brought up. 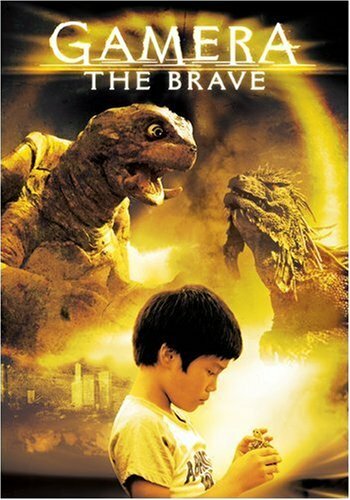 I want to say that “Gamera: The Brave” was trying to replicate the tone of the first Gamera film, which spent a considerable amount of time setting up a little boy and his pet turtle, but even that film gave us some good old-fashion monster action that was interjected throughout that film. For the first half of this movie, it doesn’t do anything with its monsters, instead giving us a tepid melodrama that is hindered further by bad pacing and even worse acting. Even when it does get to the monster scenes, they’re just as slow and low energy as the rest of the movie that they come across as uninspired. The movement of the monsters is janky and the color palette ranges from gray to dark brown. This gets even worse when the film tries to shoe-horn in as many children as possible into the finale to preach its cringe worthy message about the power of children and their connection to Gamera. 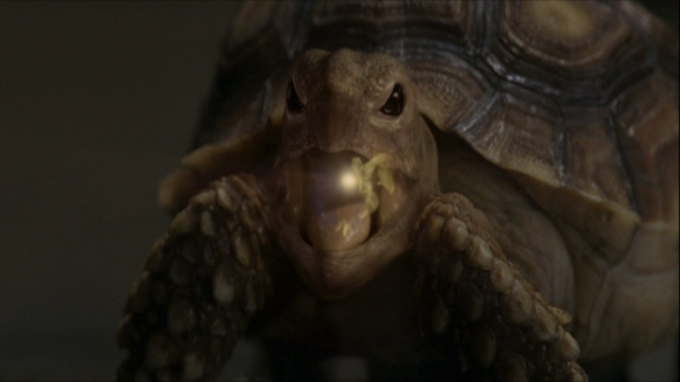 The filmmakers somehow make their children worse than the 1960s Gamera films, where the kids always seemed to have military clearance and the approval of the Japanese government, by showing they are more powerful and important than any adult in this movie, and doing so in the most over-the-top manner possible. This movie loves kids, but can’t understand why they’re so great. I hated “Gamera: The Brave” from start to finish. If it wasn’t confusing about it’s “monsters always sacrifice themselves” message, it was boring me with its horrendous pacing and acting, all while never embracing its monster heritage. It hurts to see so much potential after the 1990s Gamera trilogy wasted on such a disrespectful movie. There is nothing fun or enjoyable to found here and it is best left forgotten and alone. rough review, thanks for the heads up. I almost checked this one out.